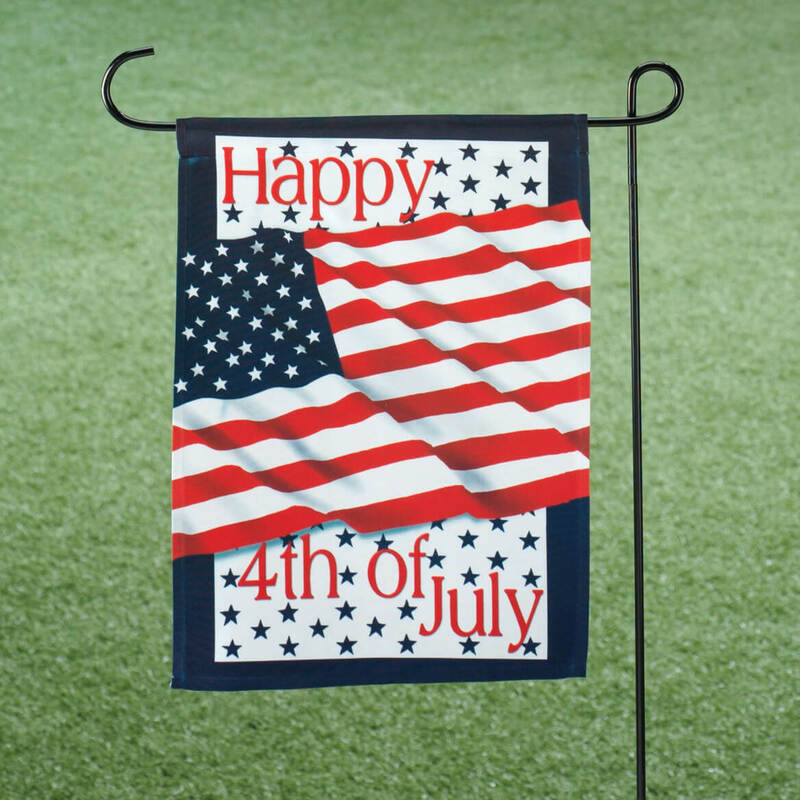 This flag is a "must" for any patriotic garden! I can't wait until July Fourth to use this flag! This is a very pretty flag. It's printed on one side and would best be used in the shade. Love this flag, it's so pretty. Show your true colors! Happy with my new "Patriotic Garden Flag"
I would use this other times besides 4th of July viewing. Nice for people on the golf course, where we live, know where we live....it is a beautiful flag! Very patriotic for the 4th. Very colorful and patriotic. Suitable for the4th of July celebration. I placed the flag in the front yard. I love it! NOTE: The patriotic flag pictured at the top of this review, is not the one I ordered/received. Mine has the U.S. flag with red and white flowers surrounding it and "Welcome" in white at the bottom. My review is on the flag I ordered/received. REVIEW: I ordered this garden flag after July 4, 2016, so I haven't displayed it yet, but I was very pleased with the bright colors and distinct design. Although it is to be displayed on only one side, (due to the "Welcome" wording at the bottom of the flag), the design is printed on the reverse side as well. My house is approximately 50 feet from the road and I think it would be easily seen from the front porch. Put the flag in my front year for the 4th and it looked great! I have many flags, but I needed one for the 4th. Love it. Love the flag. The price was right too. 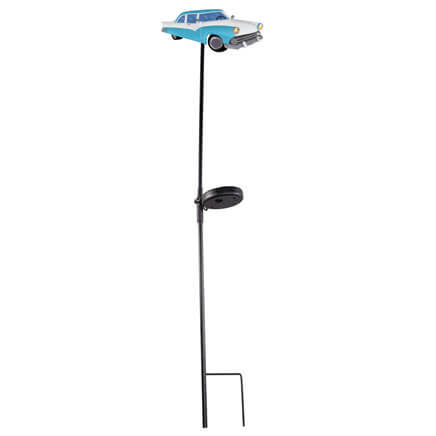 It will look great in my front yard. Mom loves it, we added to ever growing flag collection for all seasons, Believe right now we can't wait until summer. colorful and can see from afar. 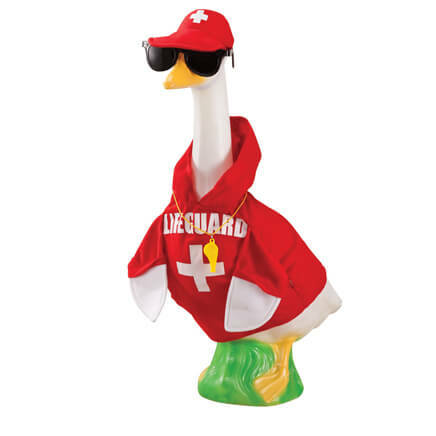 I bought this product because I was looking for a patriotic flag to hang on my front door. Upon receiving, I was very pleased. Very colorful, and looks perfect on my door! I love these mini flags. I am going to string wire through them (I bought 5) and make a garland out of them and hang them on our house or porch. I may even put some red white and blue lights on the wire. Will look so cute and be so visible. This is really a cute flag. Love the design and I have never seen one like it.looks really neat with other porch decorations. This will be used at our summer camp. I go all out for Holidays, inside and out, and this is cery patriotic. Flag does not come with a stand. Don't forget to order one. Still cute b/c of the Happy 4th of July greeting. I REALLY LIKE THE MATTERIAL AND THE SIZE, THE BRIGHT COLORS, REALLY HAVEN'T HAD THEM LONG ENOUGH TO KNOW IF THEY WILL FADE. Get the whole set, you'll fall in love with all of them! They do tend to fade in the sunlight, but I've already re-used all of them two times. They are kind of hard to slip onto the post, but they stay put once they're on there. The leprechaun for St. Patrick's day looks kinda odd for my taste. Just an observation! Good to add to all my other 4th of July decorations. Flag looked so nice in my garden over the 4th of July. I ordered four flags for my daughter, but you only sent three becuase you were out of them. Now you said they won't arrive until fall! That does not help her celebrate holdays this spring! I was disappointed when I received this item. It is a lot smaller than I expected it to be, I have ordered other banners and flags from Miles Kimball and have always been satisfied. It is still an attractive design and looks nice in the flower garden. 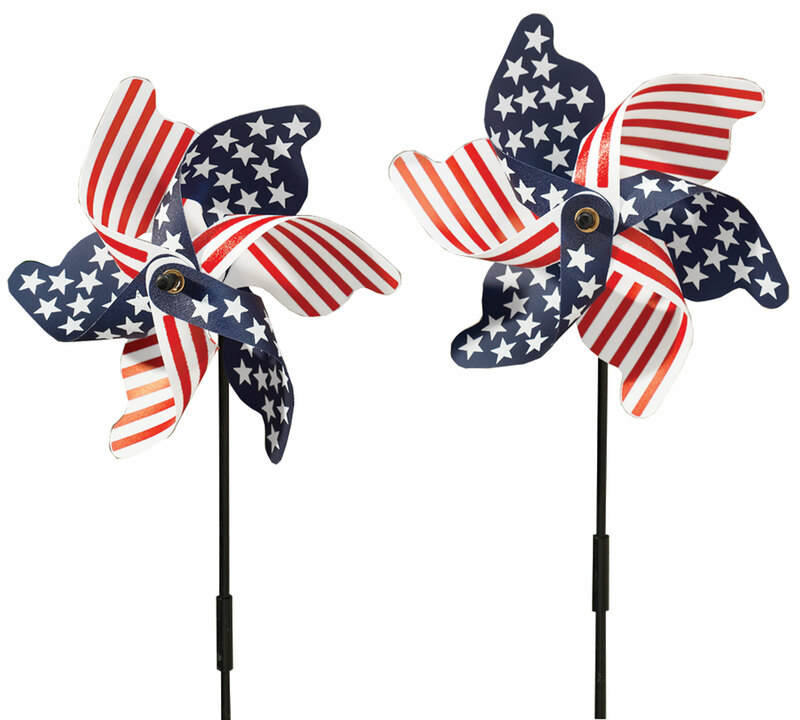 I purchased two of the garden flags -- one for Easter and one for July 4th. I have other flags and they're all 12"X18". These two are a bit smaller, only 10"x15". They're ok otherwise and will be sufficient for my purposes, but I'm not sure yet whether I'll keep them. I like the design on both and the fabric is nice as well. I guess I should have paid closer attention to the description, though, or should have suspected that they were somehow different based on the price. One of these days I'll learn that you get what you pay for. The flag is attractive, but lighter weight than my other flags. OK for the price. A year or two of sun and rain will be all it can take, but you don't cry when you throw it away. In all honesty this is my own fault for not liking this item. Had I read the dimensions prior to buying this item, I would have known just how small it really is. I guess if you wanted to place it among a flower garden the size would be okay? But I was wanting to hang it in my front yard and display it proudly...It was way to small to do that. So cute and patriotic! Perfect for our flowerbed come July. 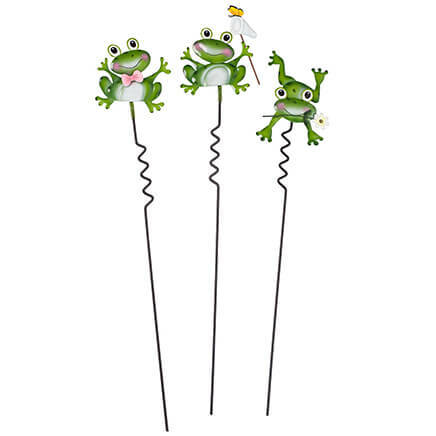 I needed Holiday garden flags, liked the designs. To use at July 4th. Great for the 4th of July. Shows we are proud of our country.. Never found a flag for the 4th of July before. These flags are of great quality and fair priced. To celebrate the 4th with a patriotic flag. It's hard to find small ones so I was pleased that you offer them. I think it looks very nice and I love yard flags. We ordered the pole to display this flag proudly in our garden. I needed a flag for the 4th of July. Looks very nice and I am very patriotic. Really cute for the holiday! I fly a flag for every holiday! They just looked very appealing for the price? We have many Veterans in the family. Needed a 4th flag for yard. 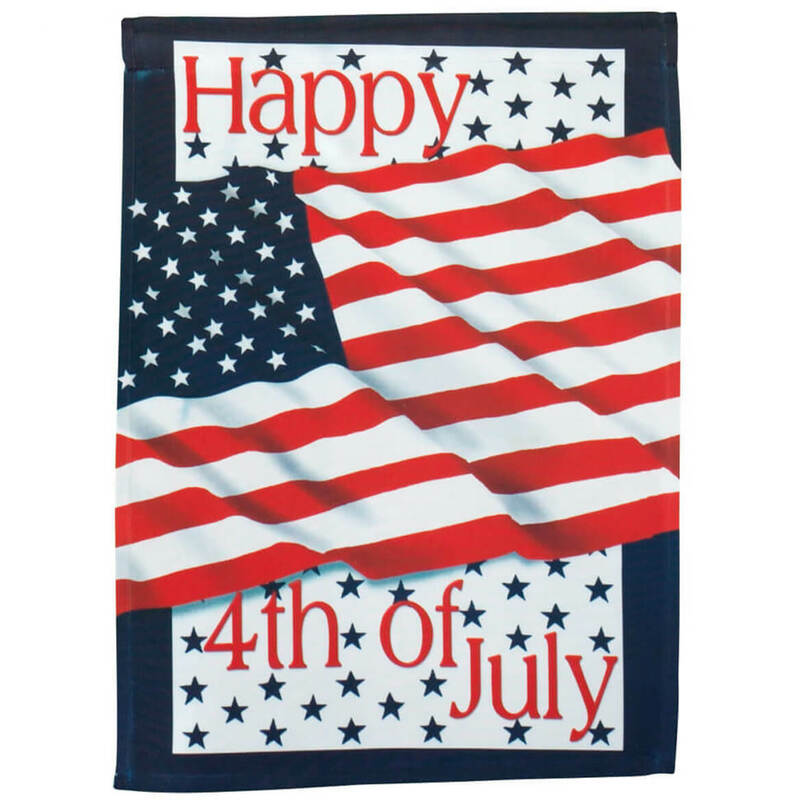 Because I specifically wanted a 4th of July patriotic small garden flag for our RV. Needed a new 4th of July flag. To put up for the 4th of July! Going to use this on my front lawn for the 4th of July. neededna new flag, this one fit the bill. Part of a set of flags previously ordered.